September saw the best cinnamon roll I’ve ever eaten and a pizza bigger than my head. 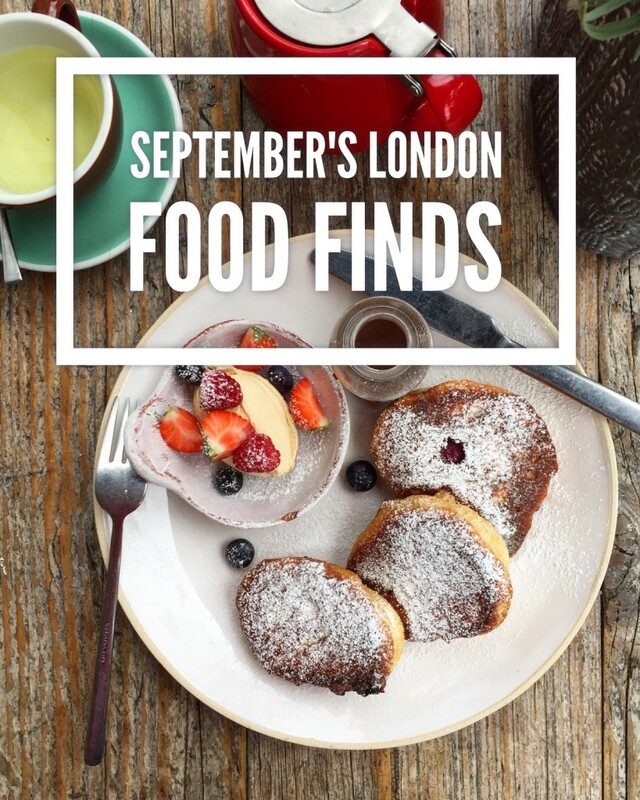 September’s London food finds are in and there are some crackers. 1. Cinnamon Social, Ole and Steen. 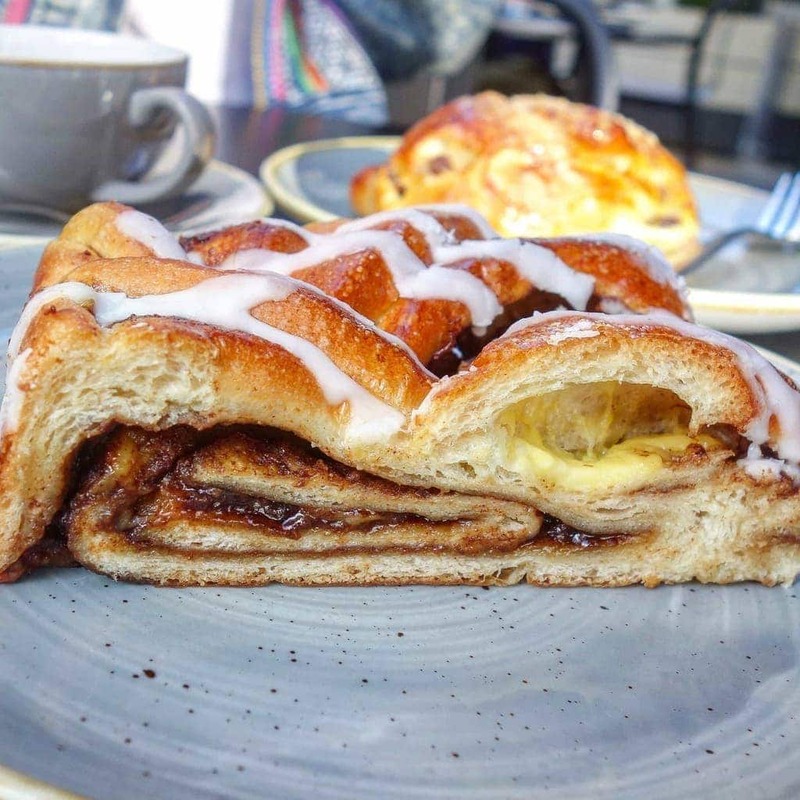 Ole and Steen are the newest Scandinavian bakery that’s taken London by storm. As well as breakfast, lunch and dinner they do a whole load of cakes and pastries including what I would say is the best cinnamon roll I’ve EVER had. Not like your average bun, it’s wider in shape and filled with dots of creamy custard between the layers of gooey cinnamon sugar. Make sure you get a glance at the big versions they do to that feeds about 8 people (or one hungry one if you don’t want to share!). If you don’t know how big 20 inches is let’s just say it’s pretty big. 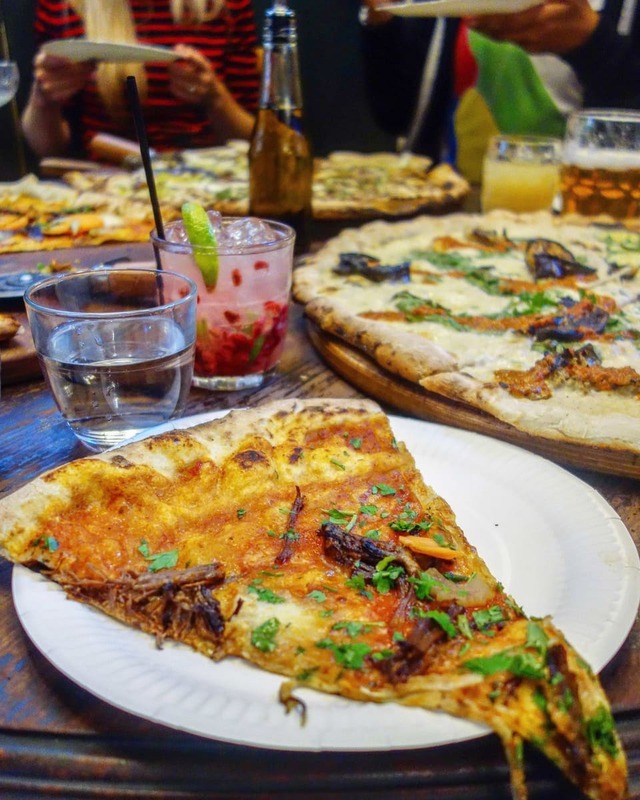 Homeslice Pizzeria serves huge 20″ pizzas with quirky toppings all for just £20. It’ll serve 2-4 people per pizza and the menu changes often. You can find things like cauliflower cheese and beef shin with carrots adorning their pies. Challenge you to finish a whole one. More on Homeslice here. 3. Hotcakes, Angie’s Little Food Shop. Brunch places are not hard to come by in leafy west London and Angie’s in Chiswick is one to add to the list. A kitsch little cafe doing brunch the Australian way and these hotcakes are part of the menu. Don t be fooled like me and expect sweet pancakes as these are completely different and almost savoury. Until you add the cinnamon syrup and espresso cream. Arrive early – it gets so busy! Oree is a French boulangerie in London doing brunch, snacks and treats. 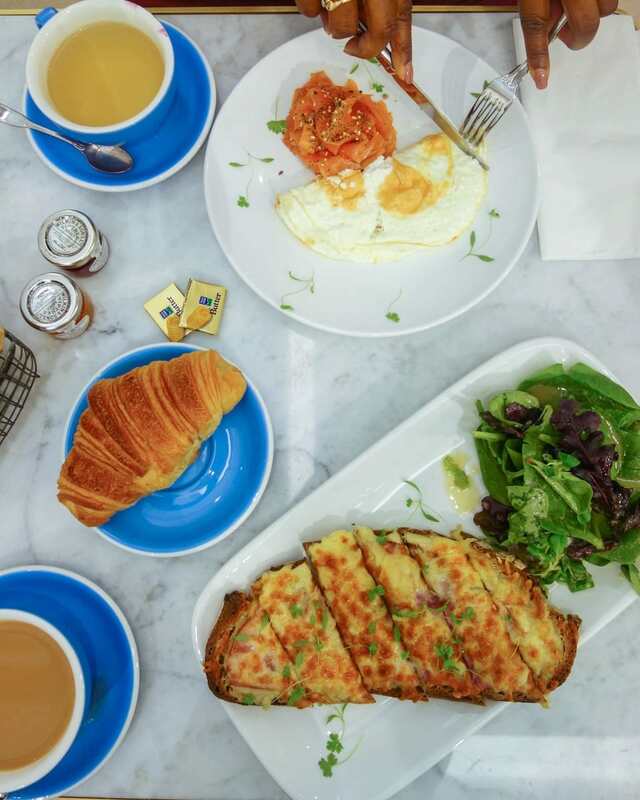 They do a whole load of beautiful cakes and French pastries as well as a Croque Madame that’ll make all you cheese lovers very happy. Get one of those plus a croissant and you won’t go far wrong. P.S the oven sits at the back of the shop in full view so make sure you go when the almond pastries are going in! It smells divine. 5. Salted Chocolate and Pecan Cookie, Jacob the Angel. 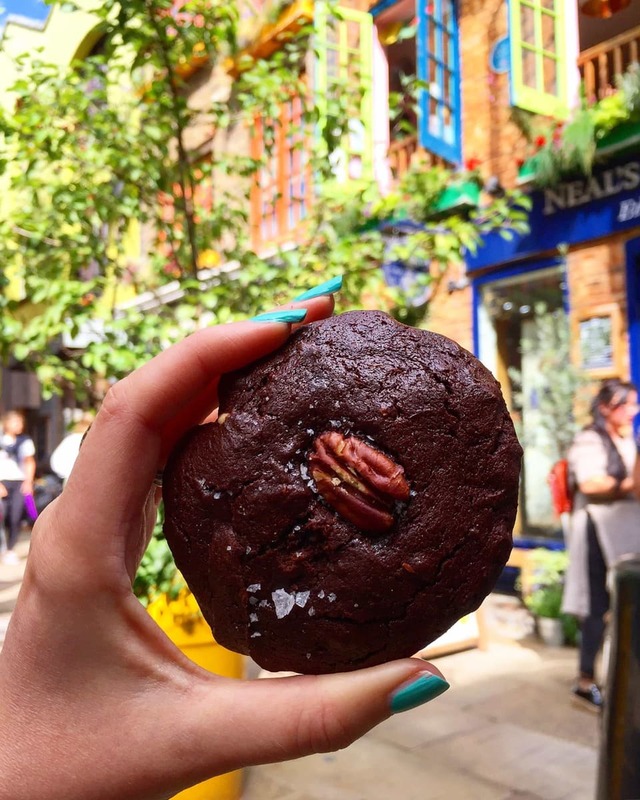 Jacob’s is a quaint cafe that has recently opened in the lovely Neals Yard, Covent Garden. This little place only seats about 10 people and if you’re looking for a nice lunch spot this is the place. Their ethos is seasonal, healthy, great tasting food; and that’s exactly what you will get. As with most places in Neals Yard, it’s not going to be the cheapest place you’ve ever eaten so bear that in mind! I can feel that 20in pizza challenging me. I want it! Yum.